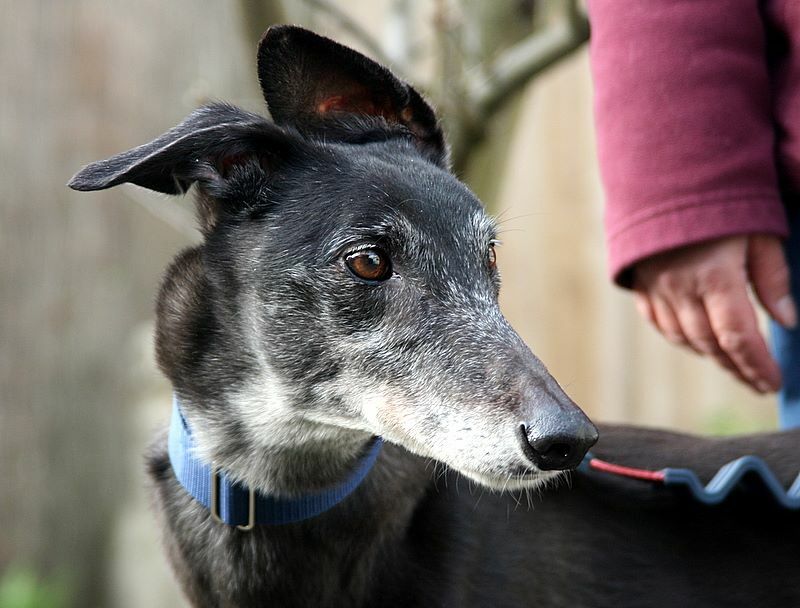 Our beautiful gentle, sweet, cheeky Velvet is now ready to find a home of her own. We will all be so sad to this this beauty leave us but so happy to see her on a sofa of her own! She is divine. Velvet will be 8 next month and was Australian born and bred. Her life until now has not been the best. From Australia to Macau and then Macau to the UK she has adapted to love and comfort like a duck to water. This girl just wants to love and be loved and has embraced her new life with a natural joy that is just as beautiful as she is to watch. 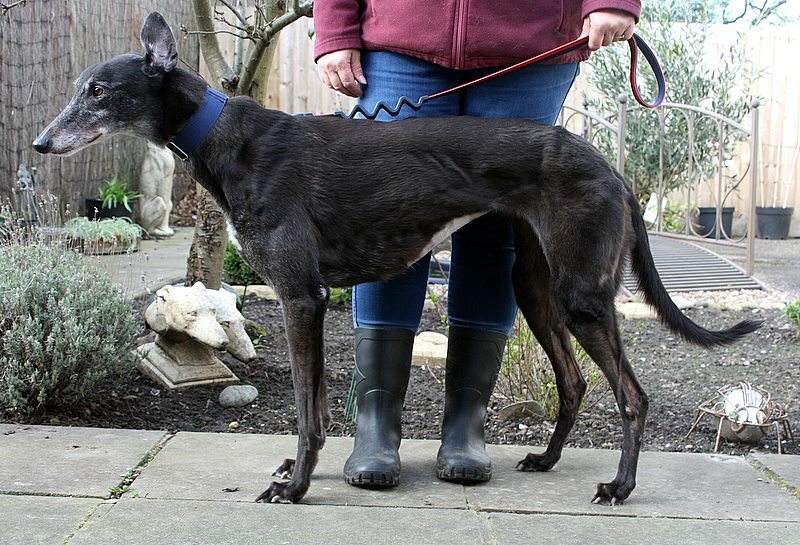 Again, in no way has Velvet allowed her past to define her she loves humans and is enjoying being able to trust. Velvet is currently kennelled with Miller, she adores him and he her however we feel that Velvet is as much a people dog as she is dog dog and we feel in our heart of hearts she would easily fit into a home with resident dogs or as a only dog, comfort and fun is her number one priority. Upon landing with us Velvet was not in the best health, she had a mouthful of rotting teeth that have now been taken care of and she is feeling much happier for it. 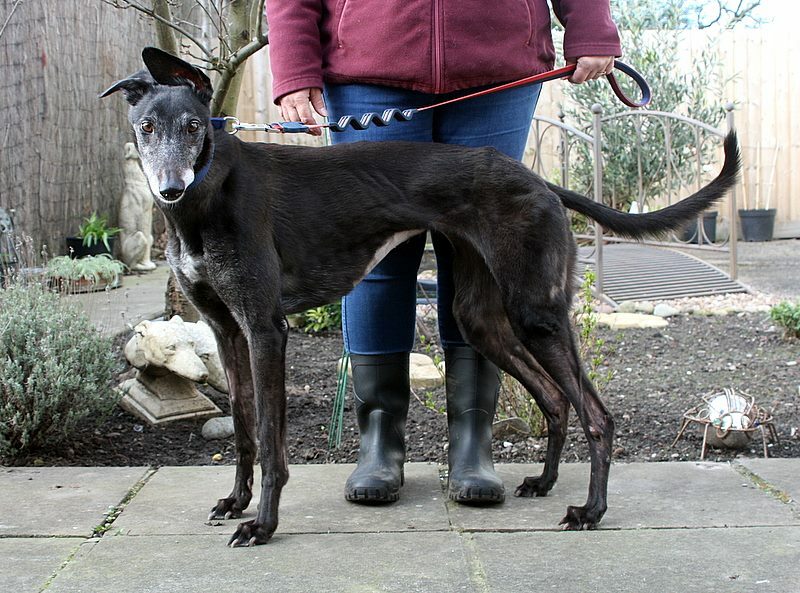 She has a tiny, tiny vaginal prolapse but our vets are happy that that will cause her no issues in the future and were it to get worse and rectification needed then Greyhound Gap would fund the repair in the future. Velvet is a foody and with that she is highly trainable, she likes to please you and lives for a kind word or a gentle stroke. Out and about she walks well in the main but is still very interested in small furries and other breeds of dog so a home willing to continue to invest in gentle socialisation is a must. 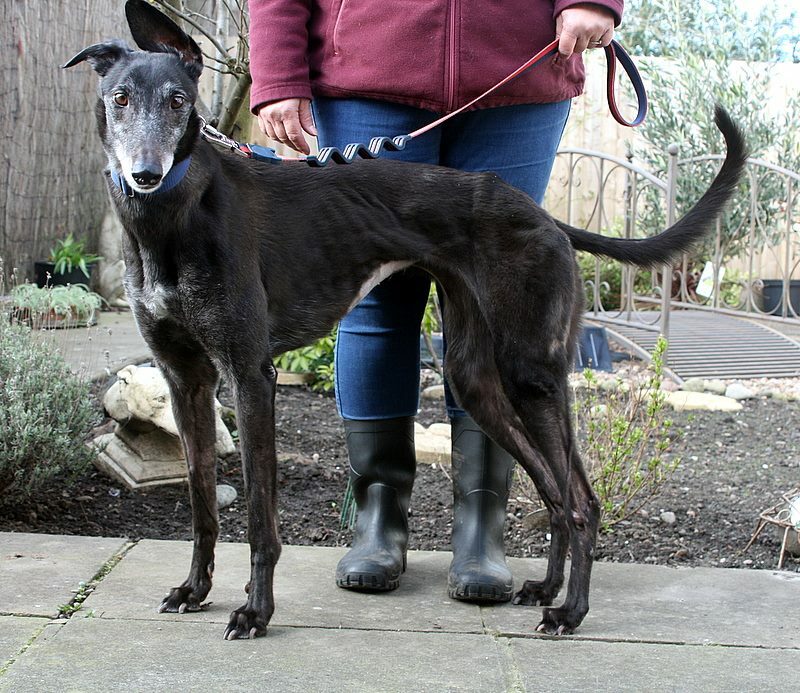 We feel Velvet could easily live in a home with dog savy children 8 years and upwards but no cats! Velvet also travels like a dream. Velvet is de flead, de wormed, vaccinated, kc vaccinated, microchipped and has been neutered and received a full dental. She does not have many teeth left bless her but it certainly hasn't affected her wonderous smile.